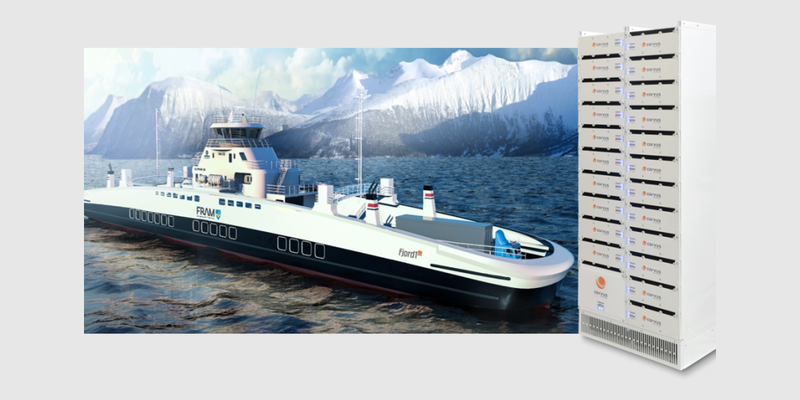 Corvus Energy has a received a contract from Norwegian Electric System (NES) to deliver lithium-ion energy storage systems for two new, fully electric ferries being constructed by Havyard for the Norwegian ferry operator Fjord1. The ferries will be used on the Magerhold-Sykkylven route. Corvus was also contracted to deliver battery systems for three other Fjord1 ferries, which will be used on the Hareid-Sulesund route. Each of the five electric ferries, which will feature space for 120 cars with a ferry length of 111 meters, will be provided with an energy system with a 2.9 MWh capacity. Delivery will take place in 2019.